Come Visit Us at the NFMT Trade Show! We’re excited to leave our cozy office and head down to the big city of Baltimore for the National Facilities Management and Technology (NFMT) Conference and Expo. 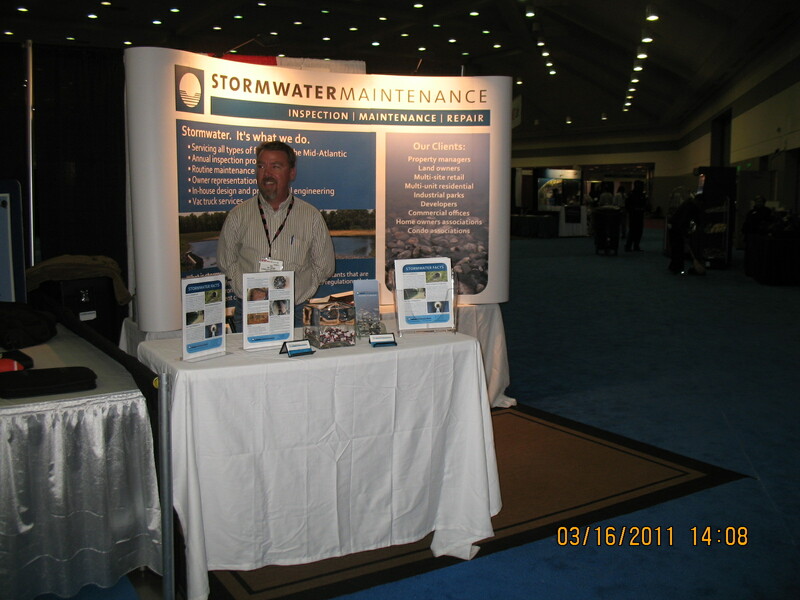 Stormwater Maintenance, LLC is set up in Booth 1434 across from the food area inside the Baltimore Convention Center. If you are in the area, come visit tomorrow from 11-2 pm and pick up a copy of our Stormwater Facts Sheet. Pat Depkin, Stormwater Inspector Extraordinaire, manning our booth. The exhibitors includes solutions for all your facilities maintenance needs including: access control and security; ADA; building automation; carpet and carpet care; diagnostic, monitoring and testing instrucments; doors and door hardware; energy management; restroom/plumbing; roofing; and sustainable solutions/LEED products. In the building services pavilion you will also find firms that provide total facility management, contract cleaning, building construction services, energy services, HVAC maintenance, pest control, landscaping, snow removal … and most importantly (at least in our opinion) … STORMWATER MAINTENANCE!! !